Below is a link to an example of a recent survey we have performed. The client has authorized the release of this material to any interested parties. Below is a link to the Surveyor's Report attached to the above drawing. Below is a link to a google image. 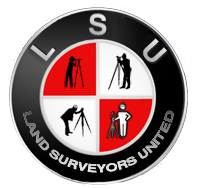 In this particular case our client is possessing land that he has no Public Record Title to. This is due to an error in the conveyance made to him many years ago. B&B Surveying Company was able to track down the previous owners heirs and help resolve this issue. He had no idea this condition existed and has taken my advice and is correcting the situation.